Gleninchaquin is an award-winning family owned park and farm in County Kerry. It is a long narrow coombe valley on the North West side of the Beara Peninsla, formed by glaciation approximately 70,000 years ago, and changed little since. The back wall of the coombe contains a spectacular waterfall which in turn feeds the succession of lakes along the valley floor: Loughs Inchaquin, Uragh and Cloonee. Further lakes, Cummeenaloughaun and Cummeenadillure are contained in smaller hanging coombes around the waterfall with Lough Napeasta further out along the valley. 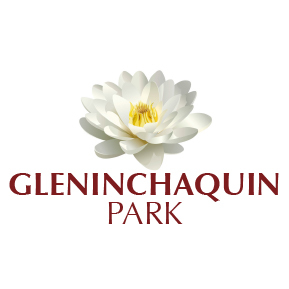 Gleninchaquin Park provides breath-taking landscapes and scenery in which it is a sheer delight to wander around. Explore streams with log bridges, mountain paths with carved steps, rock passages, glens, lakes and waterfalls. Marvel at the view overlooking the lakes, delicate green meadows, a spectacular 140 metre high waterfall, woodlands and Kenmare Bay. It is all framed by the Killarney McGillicuddy Reeks along the horizon. This idyllic valley is perfectly suited for day outings with the entire family. Ample parking facilities are provided close to the waterfall and picnic areas. The walk routes around the waterfall, cascades, streams, woodlands and lakes are accessible for all ages. Also, feel free to bring your own lunch basket or enjoy our home baking, teas and coffee refreshments. The park has six lovely short walks and nature trails, suitable for both children and adults. We ask all visitors for a nominal fee for entry to Gleninchaquin. This goes towards the maintenance of the grounds, walkways, insurance and general day to day work required to keep the park to the high standard you’ll experience during your visit.